The Basics. The low hanging fruit. Sometimes some of the most obvious or simple things get ignored. 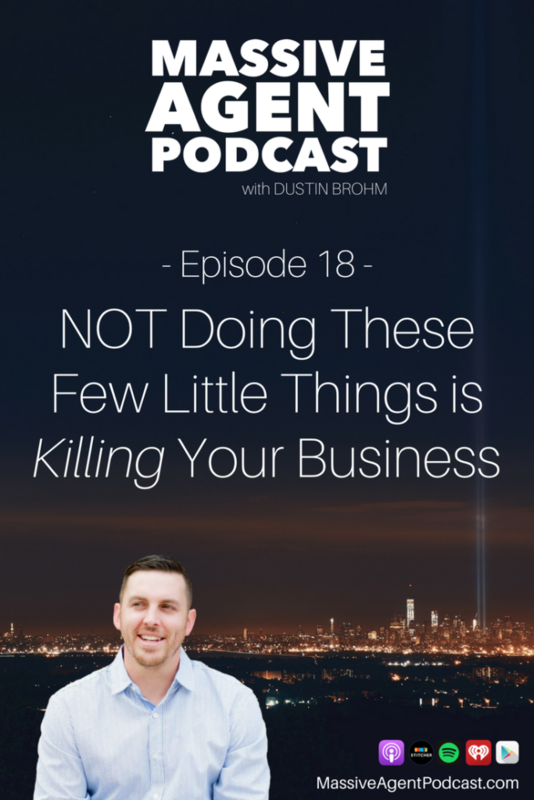 If you're NOT doing these few little things, it's definitely hurting your business. On this episode of the Massive Agent Podcast, I'll tell you what these things are are, why they're important, and how to fix them.